2 Perfectly up-kept pool tables and a lot of great players. The skydive lounge caters to pool players around the area and invests into the pool table to insure they are working, clean, level. The pool cue sticks are also kept in maintenance and regularly re-tipped. We have 2 great tables in the middle of the bar room area foot by 4 foot basic bar table sizes with slate bottom, high end felt, and regulatory updated. Takes $0.75 to play and if there is a problem with return balls the bartenders and managers will insure it runs smoothly. During the regular week pool players come in and out of the skydive lounge all day. To play all you need to do is put your name up on 1 of the 2 chalk boards corresponding to each pool table and wait for your turn. 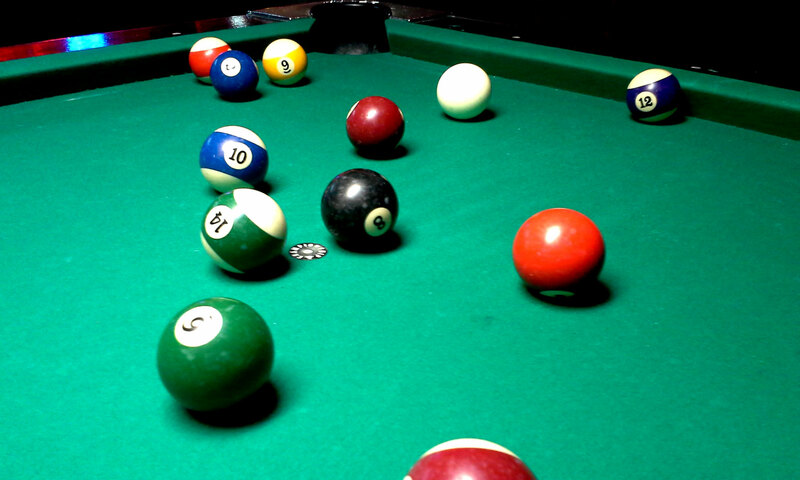 The most common play at the Skydive Lounge is "Call Shot/Pocket 8 Ball". - 3 ball tournaments every Wednesday, Thursday, and Sundays starting at 3:00pm PST.